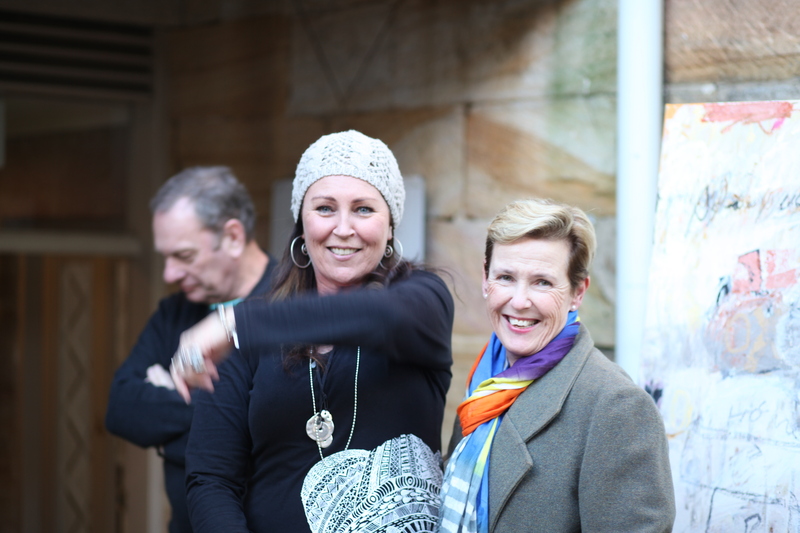 Popped into an art opening up at Hunters Hill on the weekend to see a friend’s show at the Hunters Hill Gallery – which is a wee space in a beautiful sandstone building. The influence of the gallery is seen in the painting’s palette. When set against the sandstone walls you can see the play in the colours and textures of the larger work. From Pamela Honeyfield‘s website: The name comes from Terra di Ombra, or earth of Umbria, the Italian name of the pigment. Umbria is a mountainous region of central Italy. Pamela’s solo is an attempt to capture her love for travel, using the earthy blend of umbers in her work. Pamela will exhibit works on paper, canvas and wood, using colours that are indicative of the land in raw, burnt, rust and natural tones.